*R&M model 2610 desk fan. These are on two wires from the stator to the brush housings. What is the proper name? I've searched for Brush Terminal, Brush Spade Terminal, Stator Terminal, Stator to Brush Terminal, etc.. with no luck. John, I looked at MC. The 90's listd there too small. These are .5" wide spade and .30 between the forks. The overall length with the wire tabs folded is .75. They are made of brass. They clip onto the brass base of the brush housings. The housings have grooves cut into each side where the clip slides in. The bent tips of the terminals act as springs to hold them on place. I have had to look for some in the past but never had any luck. Reuse the originals and if missing solder the wire to the brass brush tube. Chad Hunter wrote: I have had to look for some in the past but never had any luck. Good idea Chad. 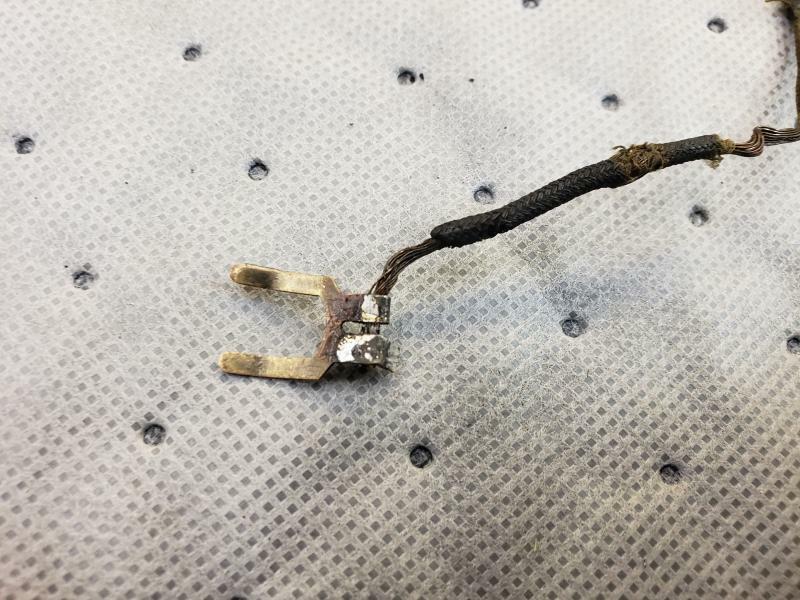 One less flaky connection. Thanks for the ideas. I will try ands reuse the original terminals. 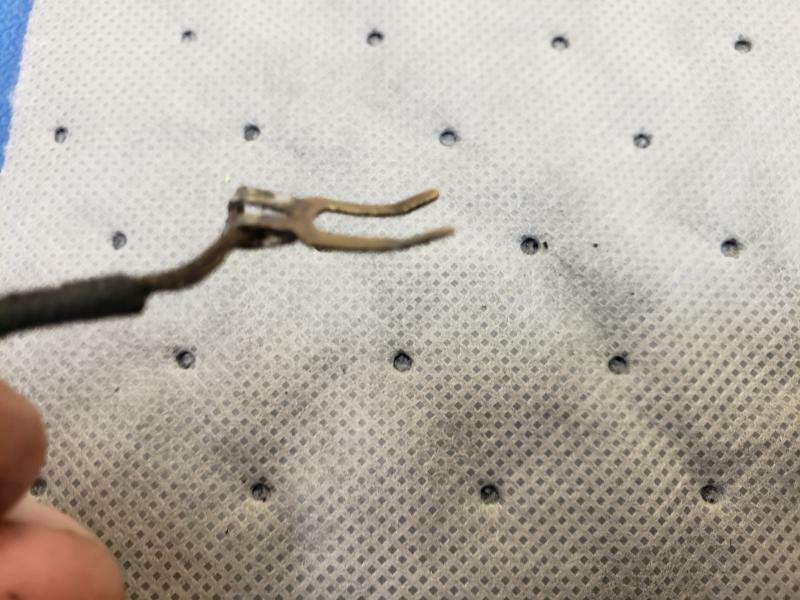 I was able to remove the wire from the one pictured and can reuse it. The other terminal is already missing a tab and the remaining tab is loaded with silver alloy (no flow @ +800 deg.) . I'll try with the mapp this weekend. Page processed in 0.1592 seconds (18% database + 82% PHP). 28 queries executed.